The winning Klemm clan. Ian Klemm won his Second Straight F-TR National Championship last week. Here he is with parents Karen and Ken Klemm. Father Ken also competed at the Nationals, shooting great in both individual and team events. The 2018 F-Class Nationals recently concluded at Raton, NM. The event was well-attended, with excellent turn out for both the Mid-Range and Long-Range cycles. The weather was variable, with wet but very calm conditions to start the 1000-yard match, resulting in new F-TR and F-Open National Records being set for 20-shot strings. Congratulations to the new F-Class Champions. Ian Klemm shot great to win the F-TR National Championship. This was the second straight F-TR title for Ian, who also won at Lodi, Wisconsin in 2017. It was a family affair this year for the Klemm clan. Ian’s father, Ken Klemm, finished third among High Masters, and also nailed the highest score among ALL shooters in the 1000-Yard F-TR team match. Well done father and son! Mike Plunkett finished second, while also setting a new F-TR record, 200-16X, also matched by Ray Gross. Ian Klemm’s winning .308 Win featured a Kelbly Panda action, 30″ Bartline 1:10″-twist barrel, and McMillan X-IT left-hand stock. 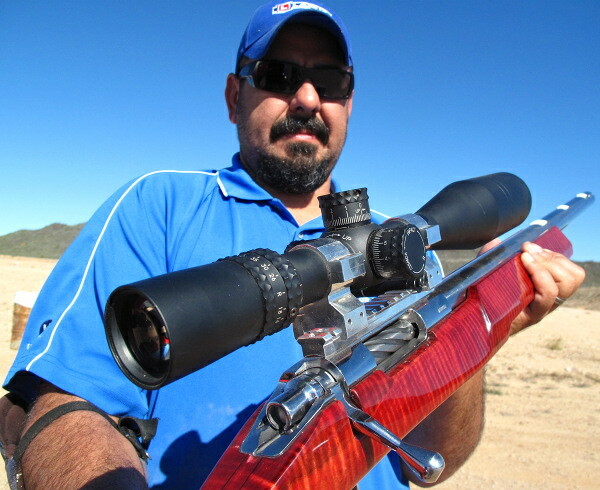 Ian used a Vortex 15-60X52mm Golden Eagle scope (as did runner-up Ted Plunkett). 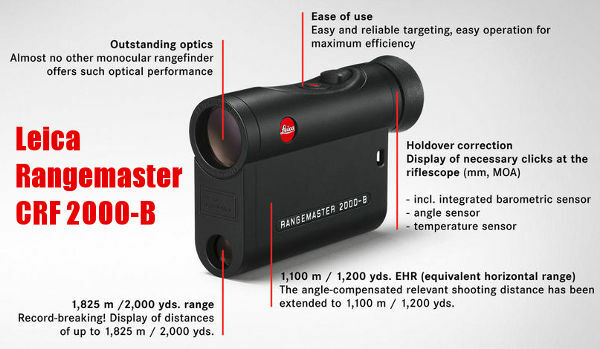 Ian loaded Berger 200.20X Hybrid bullets in Lapua brass with Vihtavuori N140 powder and CCI BR4s. MV is 2680 FPS. In Team competition, Team X-Men won the 1000-Yard F-TR Team Title, with a 1568-61X score. Members shown are: Alan Barhardt, Tracy Hogg, Ian Klemm, Ken Klemm, Matt Schwartzkopf, Phil Kelley (Captain), James E Crofts (Coach). In second place was Team McMillan with 1553-53X: Paul Phillips, Derek Rodgers, Jeff Rorer, Brad Sauve, John Droelle (Captain), Ray Gross (Coach). In F-Open Division, Team Grizzly won the 1000-Yard Team Championship with a 1580-81X score, edging runner up Team Lapua-Brux-Borden by two points (1578-81X). Here are the team members, with Grizzly President Shiraz Balolia top left and coach Trudie Fay in the middle. Team Grizzly: Shiraz Balolia, Emil Kovan, David Mann, John Myers, Trudie Fay (Coach). Team Pierce Engineering won the F-TR Mid-Range Team event. Team members included: Doug Boyer, Josh Moore, Richard Nixon, John Roethlisberger, Coach Tom Majewski. Team Lapua-Brux-Borden captured the F-Open Mid-Range Championship with a strong performance. Team “LBB” shot well, to earn a second straight Mid-Range National Title, and grab second (Silver) at Long Range. Team member Jay Christopherson praised his team-mates and also gave credit to his rivals: “Team Grizzly was outstanding for the LR Open Gold”. Team LBB: Jay Christopherson, Erik Cortina, Tom Hendricks, Pat Scully, Coach Bob Sebold. Share the post "Hail the Champions: 2018 F-Class Nationals at Raton, NM"
McMillan recently sold its gun-making business to Strategic Armory Corps, LLC (SAC). But don’t worry, McMillan will continue production of its full line of quality fiberglass stocks. At SHOT Show 2014, we interviewed Kelly McMillan of McMillan Group International. 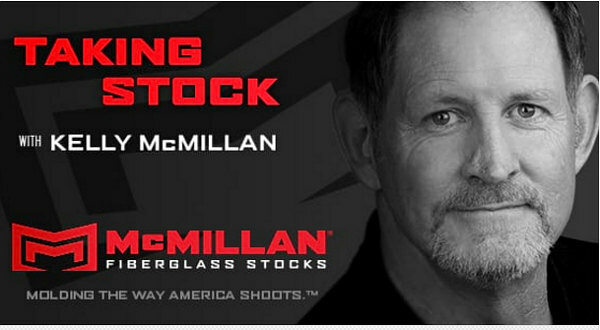 Kelly confirmed that McMillan Fiberglass Stocks will continue to craft stocks for competition, hunting, and tactical applications. In our interview (video below), Kelly discusses the recent sale of McMillan’s gun-making business to Strategic Armory Corps, LLC (SAC) which also owns Armalite and Surgeon Rifles. Kelly says SAC will maintain very high quality standards for McMillan’s Competition, Tactical, and Hunting rifles: “SAC is a great company, with a great vision… it’s going to be really good for the product and our customers”. In the second half of the video, Kelly talks about McMillan Merchant Solutions (MMS), a new “gun-friendly” credit-card processing company. McMillan Merchant Solutions offers processing functions and other services for all gun industry businesses, large and small, at very competitive rates. A portion of MMS revenues will be donated to groups that support Second Amendment rights. 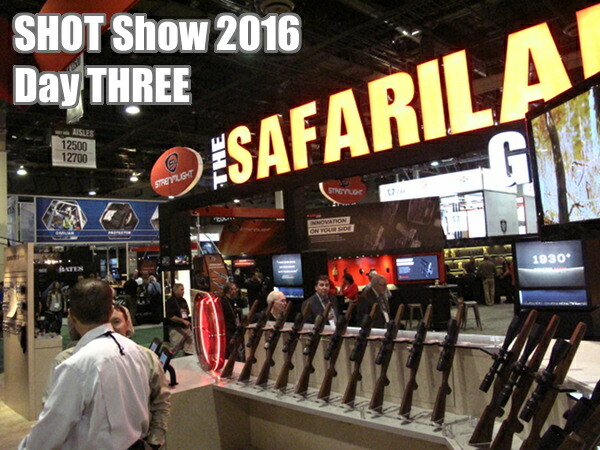 Share the post "SHOT Show Exclusive: Interview with Kelly McMillan"